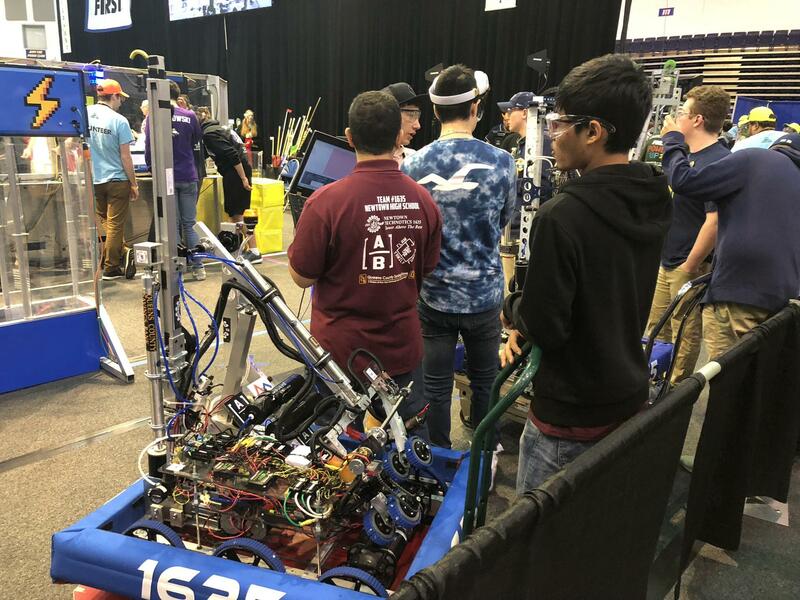 Every year the Newtown Technotics Team 1635, the robotics team at Newtown High School, enters the FIRST Robotics Competition. This year the competition requirements are more intense than ever, and our students are ready for the challenge. Our new robot is underway! 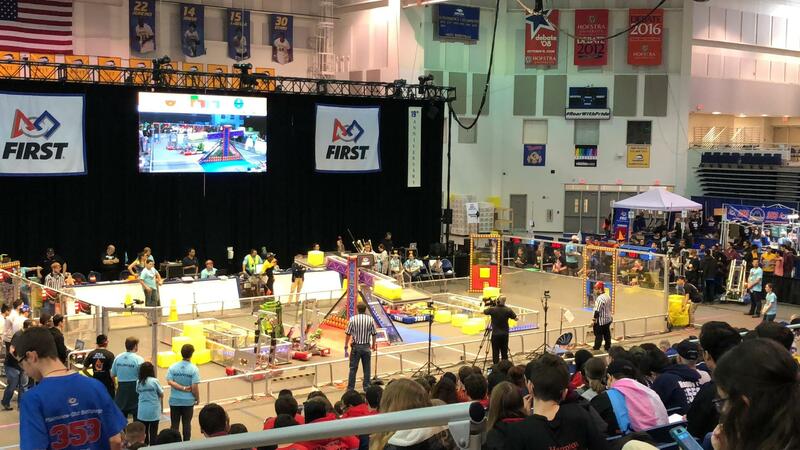 In 2018, the FIRST Robotics Competition was held at Hofstra University from April 13th-15th. 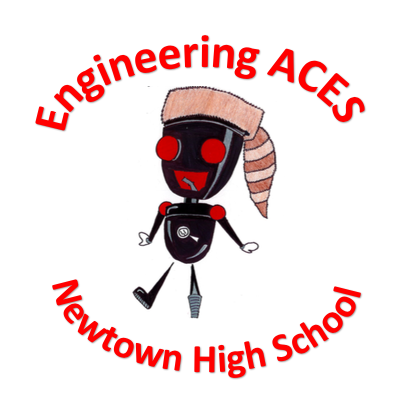 Newtown H.S. 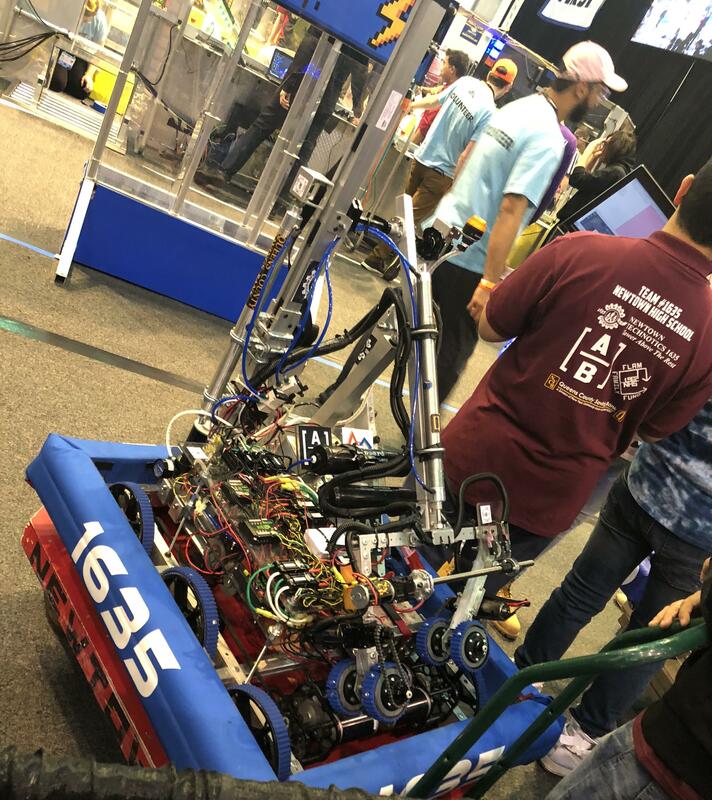 Check out our robot below!